They say it's a small world. a small world. They’re wrong. Planet Earth is a big place and full of infinite variety. There are around 200 countries in the world, depending on how you count them. No one can ever visit them all, except for a few box-tickers. 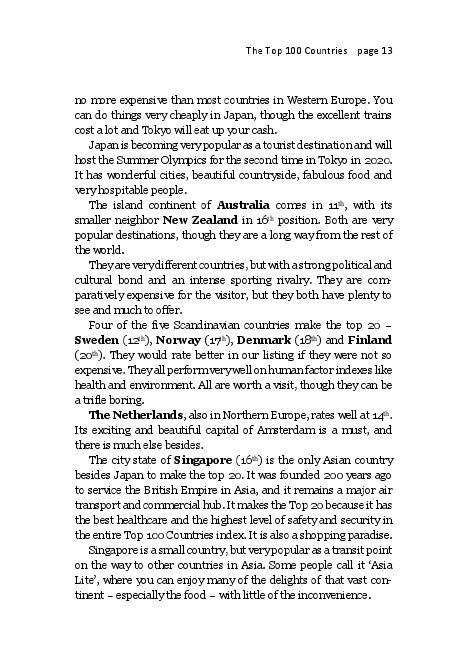 In this book we have tried to give you a brief overview of most of the world's countries and what makes them worth visiting. We actually rank 120 countries and look at dozens more. 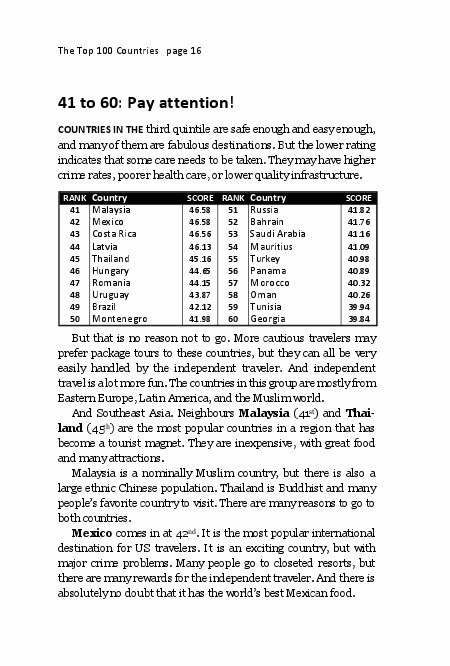 The Top 100 Countries index does not cover things like excitement level, the tastiness of the local cuisine, or the ease or cost of travel to these destinations (which will vary according to your starting point). 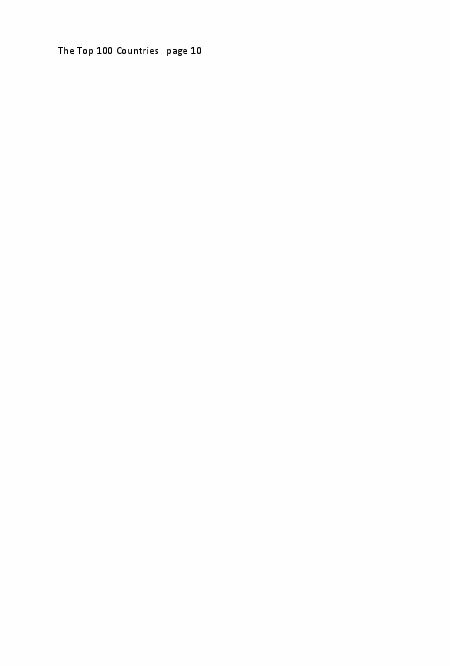 Nor does it look at a range of other subjective factors. 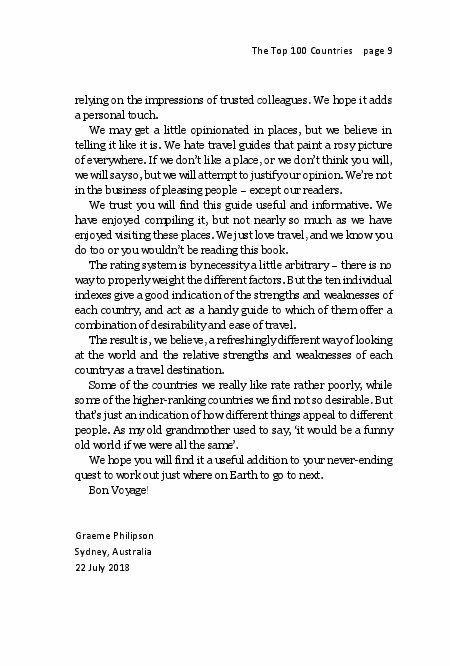 Travel is the most personal of experiences, and individual tastes cannot be quantified. 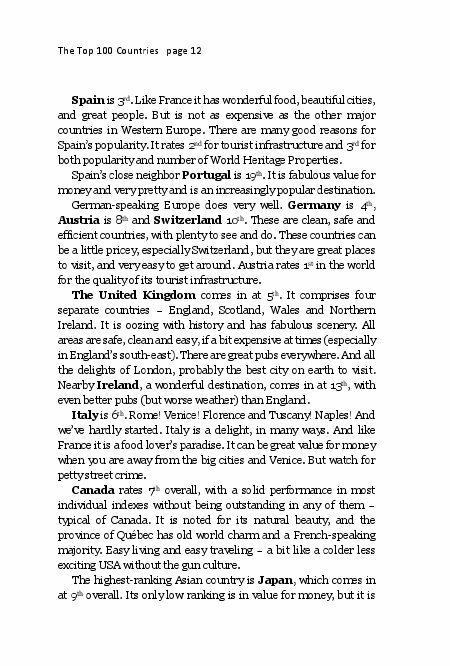 But we believe the ten factors we have chosen give a good indication of the relative merits of each country, based on the criteria that are important to most travelers. 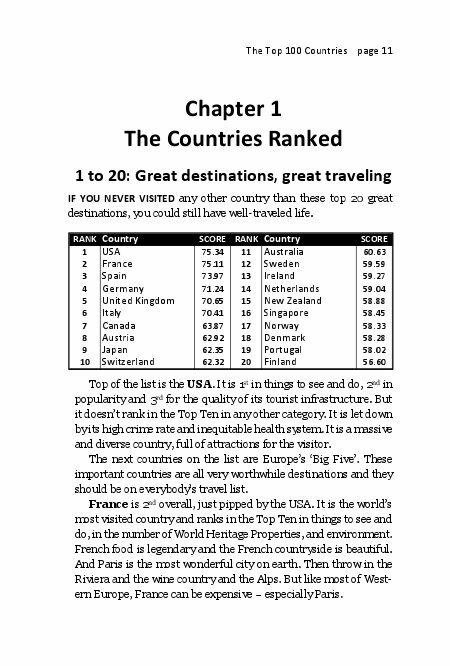 The rating methodology and sources are explained in Appendix 1, and Appendix 2 ranks every country by each criterion. 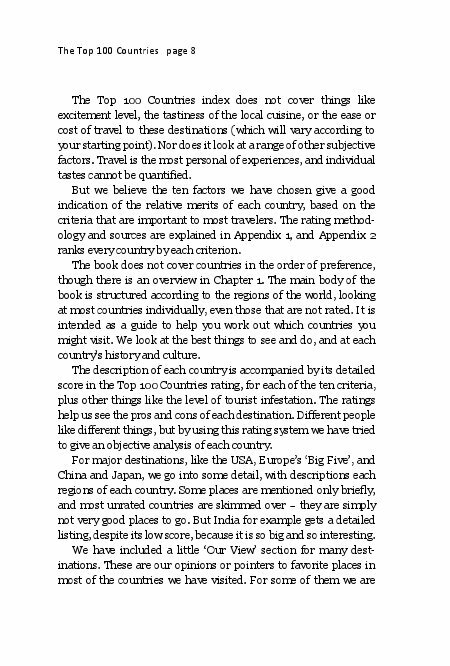 The book does not cover countries in the order of preference, though there is an overview in Chapter 1. 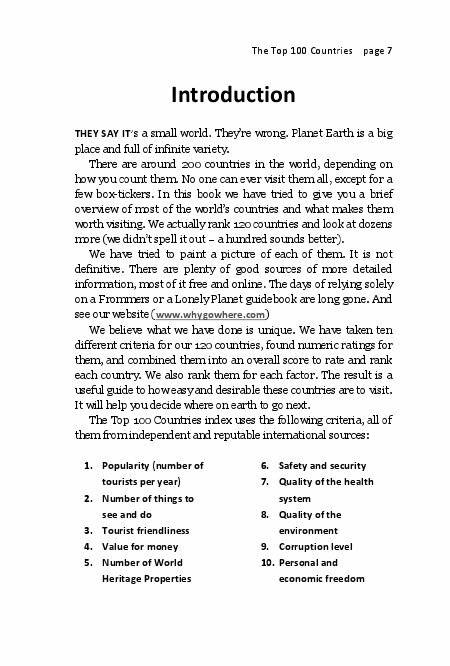 The main body of the book is structured according to the regions of the world, looking at most countries individually, even those that are not rated. 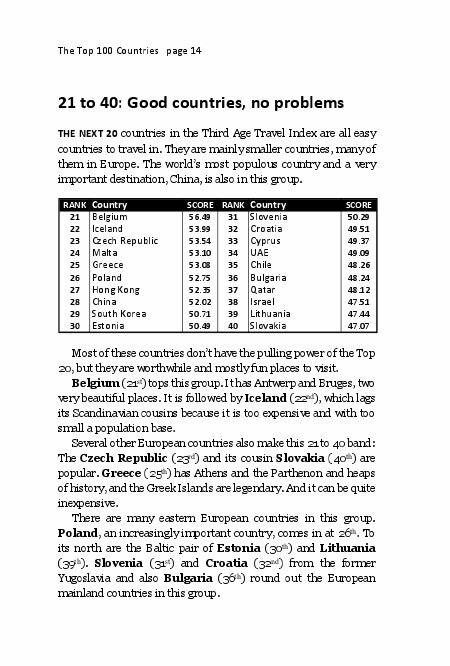 It is intended as a guide to help you work out which countries you might visit. We look at the best things to see and do, and at each country's history and culture. Graeme Philipson has been traveling the world for business and pleasure for 40 years. He has worked in or visited most of the Top 100 countries and been to quite a few others. In his long career as one of the world's leading tech industry journalists and market analysts he developed a unique perspective on Planet Earth. His worldview is informed by a deep knowledge of the history and culture of the countries he has visited. He conceived the idea of the Top 100 Countries index based on similar rating systems he has devised for commercial use in the sustainability, local government and home automation sectors. GP, as he is universally known, has also written a number of major studies on the restaurant industry and published a book of original poems. This book and his website www.whygowhere.com combine the best of all possible worlds - his passion (travel), his knowledge (history) and his skills (data analysis and writing). There is nothing more fun than travel, he believes, nor anything that teaches you more about life. "And you get to eat great food, meet fabulous people, and have a really good time," he says.